Rover’s Ranch, LLC is a small, quality dog boarding facility, located just outside Winthrop, Washington in the beautiful Methow Valley. 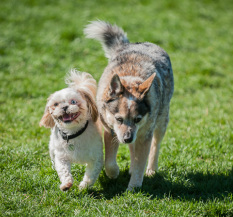 Whether you live in the valley, or you are coming to visit, Rover’s Ranch is here to meet your dog-boarding needs. 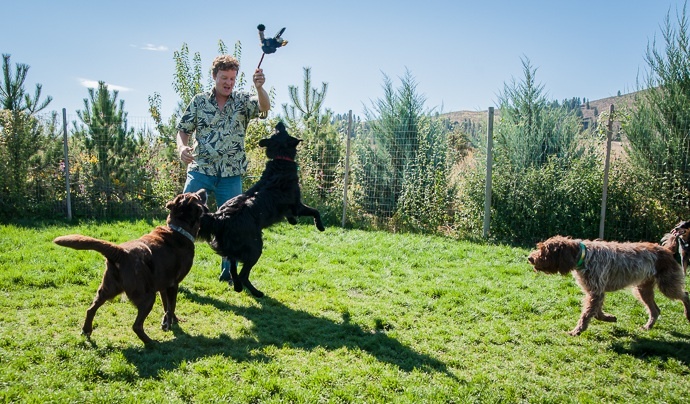 Rover’s Ranch’s owners and operators, Patrick and Kathryn Heim, have welcomed dogs of all shapes and sizes to their Methow Valley boarding facility since late in 2007. Patrick has been in the dog care and boarding business since 2003. Together, Patrick and Kathryn offer experienced, focused, and friendly care. Calming music and a flat screen T.V. featuring animal movies. .... all a part of the boarding experience at Rover’s Ranch. Please help us be quiet neighbors by calling us before you come. That way we can make sure kennel dogs are not outside when you arrive. Unless otherwise noted, all website photos are by Teri Pieper, Reflected Light Photography.